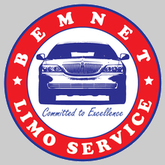 Bemnet Limo strive to protect public safety and has instituted a strict zero tolerance substance policy. Drivers are strictly banned from using intoxicating substances when providing transportation services. If you believe your driver may be under the influence of drugs and or alcohol, please have the driver end the trip immediately. Driver must report to the office upon ending the trip. If the Driver tests positive he or she will be subject for an immediate removal. Company periodically checks and updates its policy. Copyright © 2019 Bemnet Limo. Powered by WordPress & Corpo Theme.